In mid-December 2016, a former DEA employee confirmed what we already knew: that the DEA with its supporting government are corrupt to their very core. A DEA ex-employee now turned cannabis advocate, has used her position to inform the public that the Drug Enforcement Agency is well aware of the benefits of cannabis use in the medical field for a range of situations, including high success rates for those turning to the use of cannabis to kick a heroin habit. 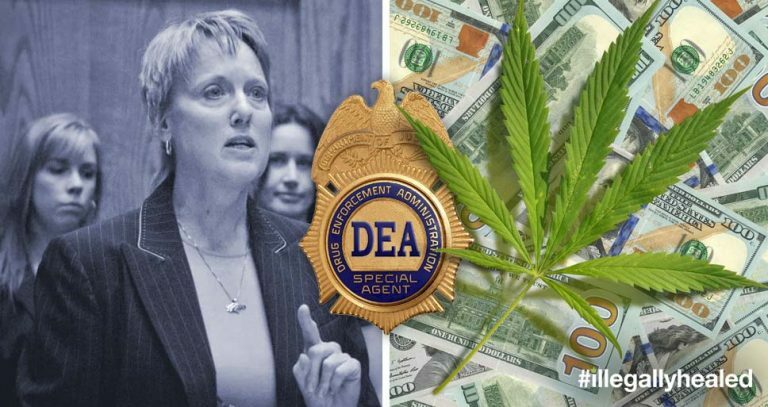 Nelson was hired by the DEA in 1998, and her chief job was propaganda. “I was having fun, I was very good at my propagandist job—I was the chief propagandist for the DEA,” she said. Nelson went on to represent the DEA’s stance in the international media arena, including Oprah Winfrey, promoting the dangers of cannabis. But in 2000, a close friend was diagnosed with terminal lung cancer, and after rounds of chemo, Nelson wanted to help ease his suffering. Going home to her teenage son at the time, Nelson admits asking him if he could find marijuana for her. “Even if the DEA is behind my name I am not willing to sit here and watch my friend die,” she said. By 2004, Nelson resigned from the DEA. It was her choice after realizing the DEA knowingly kept cannabis from the public although the medicinal benefits were obvious. Despite the influx of scientific and medical evidence supporting the benefits of cannabis use for a range of ailments, including epilepsy, the DEA continue to espouse their anti-cannabis stance; the drug is still listed as a Class I Schedule illicit substance, along with heroin, ecstasy and LSD. Although western nations are gradually accepting the literature that is rising to the top of the truth pile, (Australia has just finished establishing a cannabis farm for medicinal use, and Canada is seriously considering legalizing the drug across the nation for private and medical use), the DEA still digs its heels in, refusing to budge their position. “Gradually, I came out of my shell and that dark place I had been because of what I had experience and what I had seen… If you think the DEA are the good guys, they are not. They are really not. We are talking corruption on steroids,” Nelson said at the end of the conference. The DEA are only in this for the money. This article (Ex-DEA Employee Confirms DEA Cannabis Scheduling is About Money) is a free and open source. You have permission to republish this article under a Creative Commons license with attribution to Aral Bereux and DNewsHQ.